With the hope that the weather may get better this week….that hope was shattered thanks to El Niño! 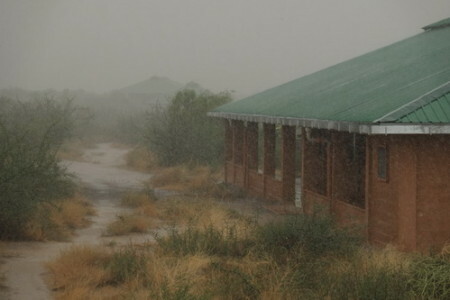 It has been raining almost non-stop in the last week and we were almost stuck in camp! However, we managed to visit Area 13 and 15 on the one day it did not rain! Victory at last! And we will come back to our field experience at the end of this post. In the second week of our Human Origins module, we continue to learn the fossil record of our own genus Homo and especially about members that made it out of Africa. For a very very long time (between 4-5 million years of human evolutionary history), hominins have only been living in Africa: the cradle of humankind. But there is a huge world out there! 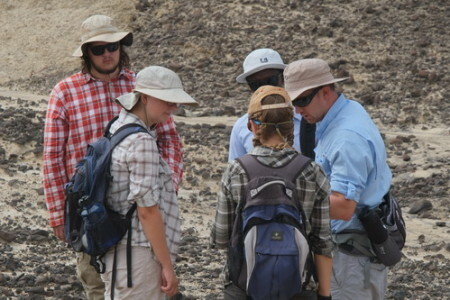 As inquisitive explorers or pioneers of population expansion, populations of Homo erectus first made it out of Africa. 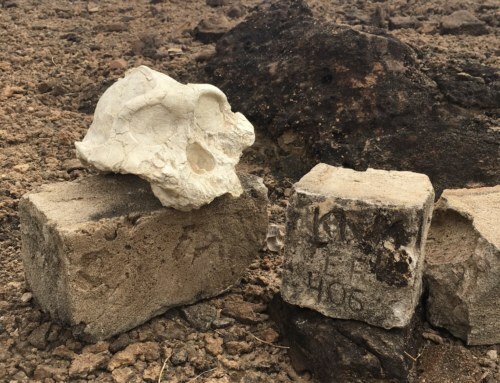 The earliest evidence of Homo erectus outside of Africa is found in the Republic of Georgia, at the site called Dmanisi, 1.78 million years old. Later in geologic time, Homo erectus expanded their territory and was found in a number of sites in Asia such as Java and China. 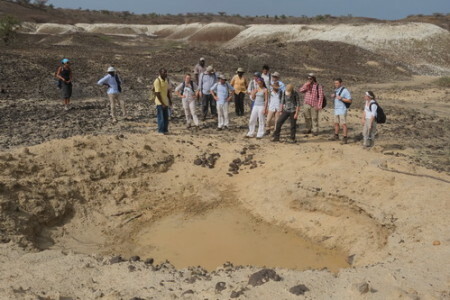 A second group of human ancestors also made it out of Africa at a later time period called the Middle Pleistocene. Although not so much is known about this later group, known as Homo heidelbergensis to some scholars, they were likely the first early humans to enter Europe and probably gave rise to the Neanderthals. The story most people care most about is the one of modern humans: Homo sapiens. The first anatomically modern human was found in Africa again. But what happened when they got out of Africa and met the people who were already in Eurasia? Traditionally, there are two major theories associated with the evolution of modern human. 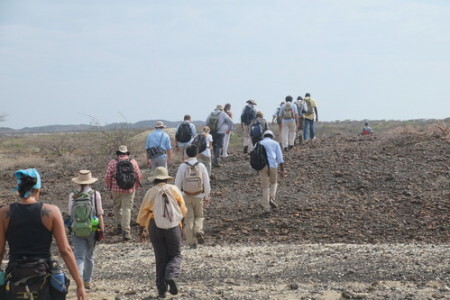 One is the multiregional theory, which suggests that modern humans evolved from different regional populations of “archaic humans” and therefore, have retained some of the regional features. 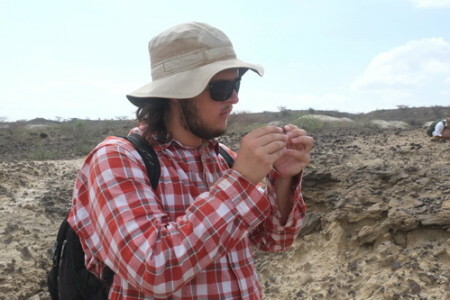 The other theory is the replacement or “Out of Africa” theory, which suggests that modern humans originated in Africa and as they expanded into other parts of the world, out competed whoever lived there previously. Thanks to new evidence from genomics, we now know that the situation is probably somewhere in between the two theories. 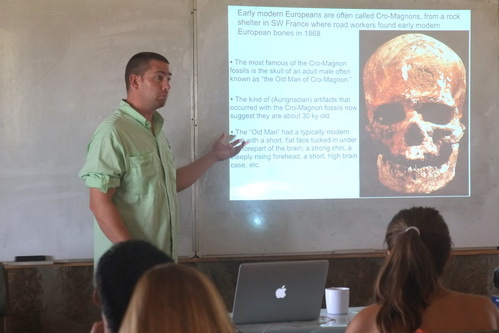 First of all, we know that modern humans expanded out of Africa between 100-50 thousand years ago, which means modern humans are all very closely related. Second, modern non-African populations all carry a significant amount of DNA from the Neanderthals, which means introgression happened between the two species. 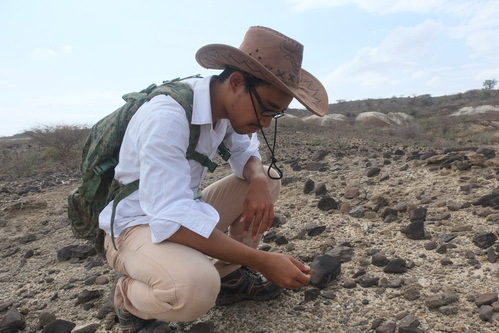 A similar process has also been detected between Southeast Asians and an ancient population (known as the Denisovans) that we know only from ancient genomics. So it seems that the modern human expansion was accompanied by gene flow events with ancient populations in Eurasia. A great body of work has been done along these lines of evidence. So here I will leave this intriguing topic to you to explore. 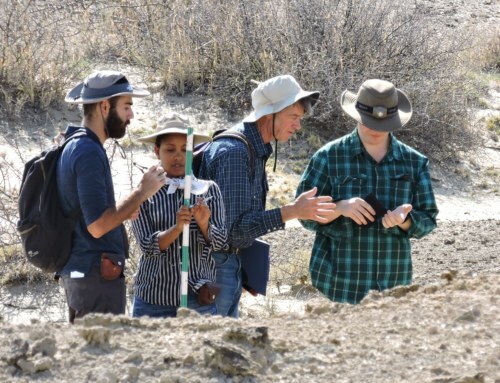 Dr. Lewis also talked about the evolution of stone tool technology and associated material culture that different hominin groups left behind. We will learn in greater details about these transitions and how we interpret them in the next module. As I mentioned at the beginning of the post, we were very lucky to have one sunny day to go out to the field! 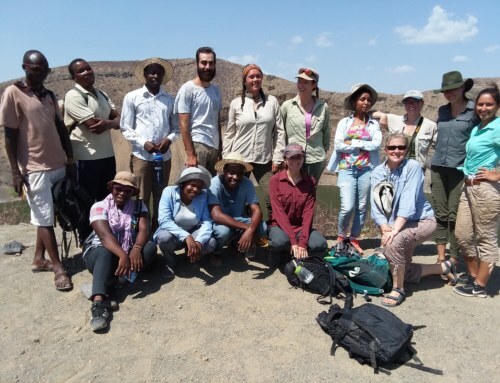 We went out to a couple of hominin sites where the TBI field team has been working for three years. 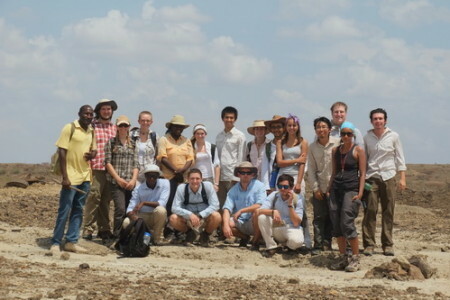 We visited one site where a complete elephant skull was found and excavated. 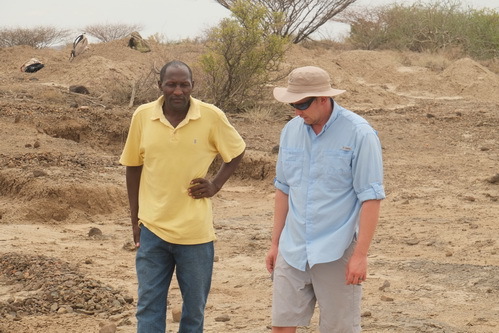 We also went to a hominin site where the field crew did a large scale excavation to recover hominin bones. 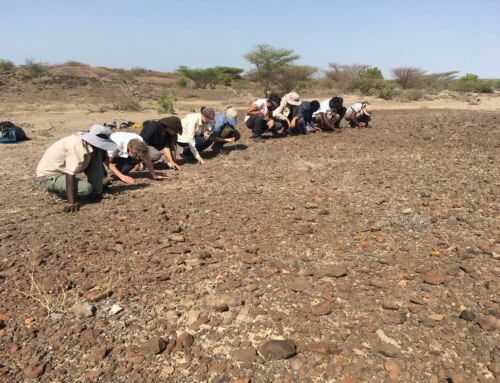 Having done excavations ourselves, students now have a better understanding of both the significance and difficulty of such field methods. 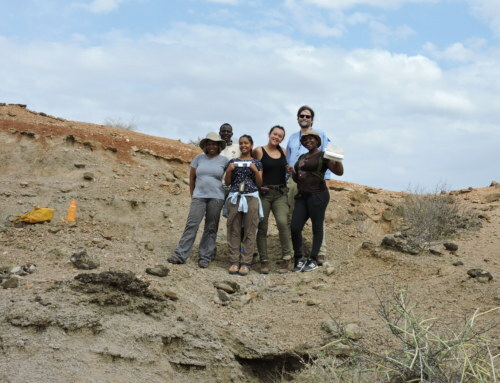 Each year, as the rains wash out more fossils, more work is waiting to be done in the Turkana Basin! 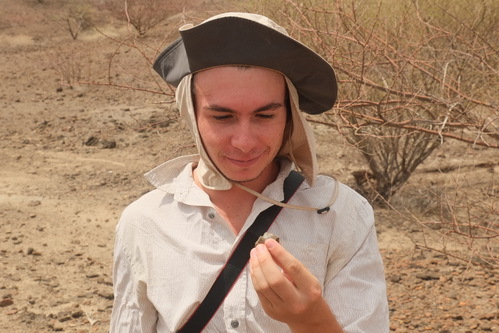 Brian found a baby monkey fossil! Laura and Pamela attempt to practise cannibalism on Meg?! Well done! 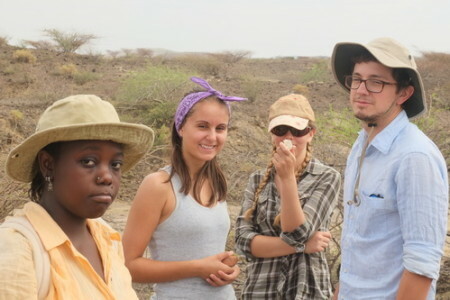 Field School students! 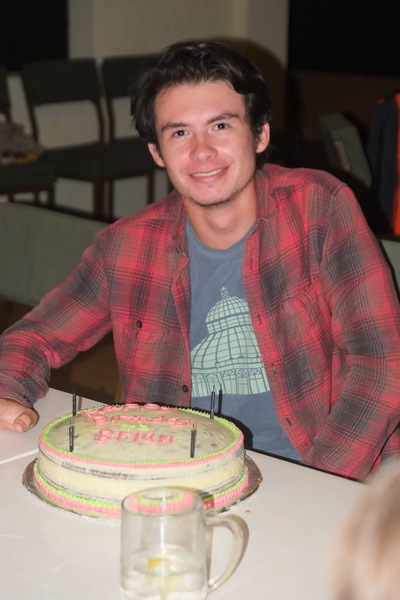 This week, two of our field school students had birthdays! And they were back-to-back birthdays! 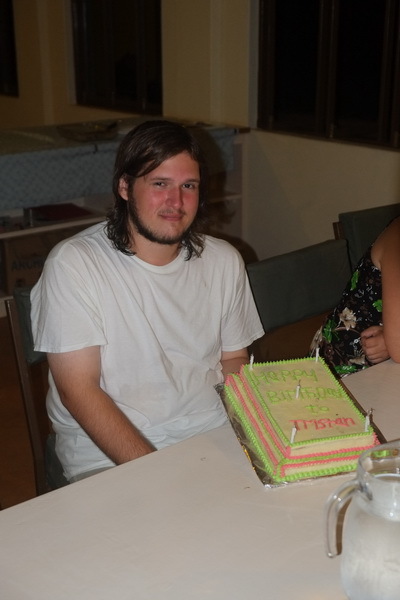 So we feasted on cakes for two consecut ive days! Can’t get better than that! Happy birthday Tristan and Brian!